Dmitry Medvedev has made an unexpected visit to Russia’s violence-wracked Republic of Dagestan to discuss security situation in the region following recent terrorist attacks in Moscow and the Dagestani town of Kizlyar. Just two days after the terrorist attacks in the Moscow Metro, which claimed the lives of 39 people and left dozens injured, bomb blasts occurred in Kizlyar, near Dagestan’s border with Chechnya, killing 12 and injuring 29 people. Medvedev has linked the attacks in Moscow and Dagestan, saying that they were aimed at destabilizing the situation in the country. “It is not that one should invest all the money in Moscow or abroad. 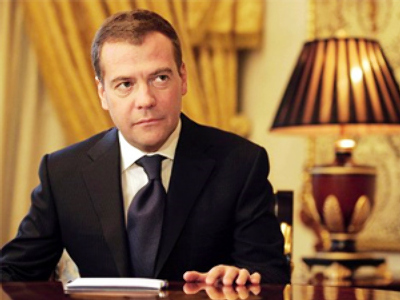 You have to pay debts to native places,” added Medvedev. The media should also be playing a special role in this fight, according to Medvedev, by trying not to split society in the coverage of the anti-terror struggle, “otherwise we will get weaker and will turn from a reviving nation into an untidy heap,” warned Medvedev. The president has also urged for more polite and politically correct terms when referring to the people from the North Caucasus: “Everyone should remember this, and not only understand, but also use the corresponding vocabulary. The people of the Caucasus are our people, they are citizens of Russia, and not just ‘Caucasus-born’.” He has also stressed that the North Caucasus is “not a foreign province” but it is part of “our country”, pointing out that no insults should be tolerated, as “there is an overwhelming majority of normal, honest, decent people, as well as bandits” in those regions, just as there are in any other regions of the Russian Federation. 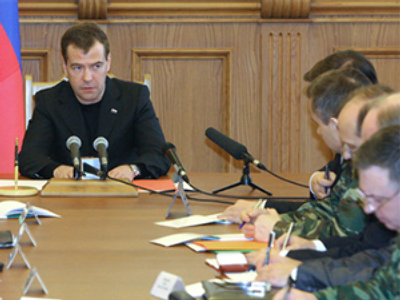 As part of the anti-terrorism measures, Medvedev signed a decree on a system of transport protection. “If we talk about the future – we have three years to implement this system, and the key events should be implemented within a year. One has to consider the general system of control and warnings which will be functioning in a given region, including in the North Caucasus,” Medvedev said. 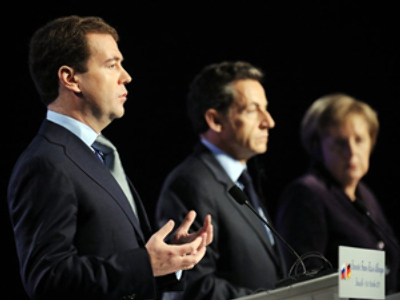 He also suggested that Russia may adjust its investigative and judicial procedures to improve the operational support of criminal cases related to terrorism: “In theory, we could agree to quite significant changes, only if they can be efficient.” Noting that those measures are adopted by many countries facing the threat of terrorism, Medvedev also stressed that international cooperation in the war on terror should be continued. While honoring the victims of the Dagestan attacks, Medvedev reassured the families of those killed, that “their deaths were not in vain” and signed a decree, awarding Orders of Courage to the killed policemen. In addition, the president has pledged that the families, who lost their loved ones in the recent attack, will receive compensations, and housing will also be provided for those who are in need. Meanwhile, as an investigation into the Moscow and Dagestan bombings continues, the Russian Federal Security Service says they know who masterminded the recent terrorist acts. “Several people have been detained and are being interrogated, the material evidence has been gathered, and an investigation is underway,” said Federal Security Service Chief Aleksandr Bortnikov at a meeting with Dmitry Medvedev on Thursday in Makhachkala, Dagestan. 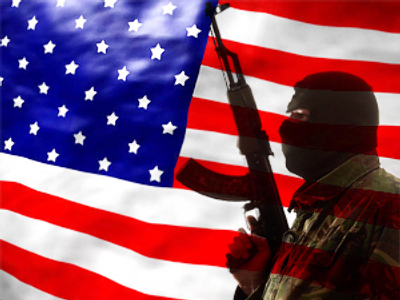 He has also confirmed that the terrorist acts were committed by groups connected with the North Caucasus. Pledging further attacks, Chechen militant leader Doku Umarov has claimed responsibility for the attacks in Moscow and Dagestan, claiming that they were revenge for the recent operations carried out by the Federal Security Forces.